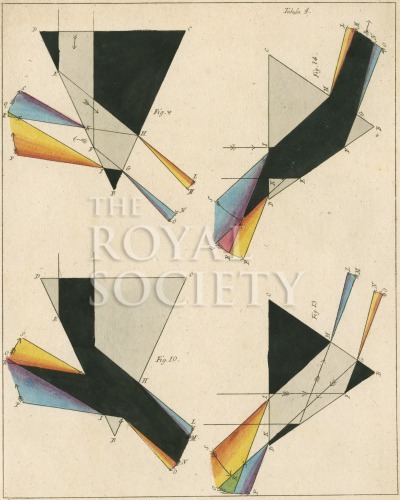 Optical diagrams showing light shone through prisms and the resulting spectral patterns. Four figures numbered 9-10 and 13-14. J F C Werneburg (1777-1851) was a Professor at the University of Jena.